The American Association of Orthodontists recommends a check-up with an orthodontist no later than age 7. 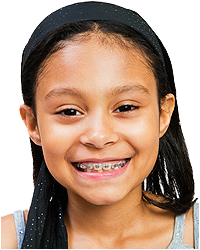 An Orthodontist is a highly trained specialist, with an extra 2-3 years of education beyond dental school, whose expertise is to align and straighten teeth for children, teens, and adults. At Pediatric Dentistry of Savannah, at each check-up we evaluate the child for the common orthodontic problems that may benefit from early treatment. The early diagnosis of issues such as crowding, spacing, overbite, and oral habits will be referred to an orthodontic specialist as necessary for a full evaluation.